Make sure you are prepared for a summer holiday to remember with this range of inflatable pool floats. From unicorns and hearts to pineapples and swans, this air filled holiday companion will keep both children & adults entertained for hours. Easy to inflate and deflate, the inflatables fit effortlessly into a suitcase or travel bag so you can take the party with you …. Relax by the pool in style with this Float On Giant Inflatable from ban.do. 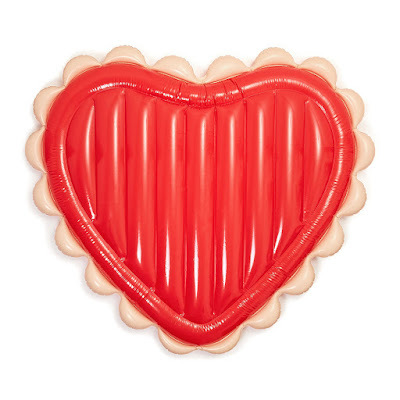 Made from heavyweight vinyl, this oversized heart shaped inflatable is bright red in colour with half circle scalloped edging. Featuring a raised frame and sectioned grooves, it is large enough for two people and is perfect for taking on a beach holiday. Make a statement this summer with this Luxe Unicorn Inflatable from Sunnylife. 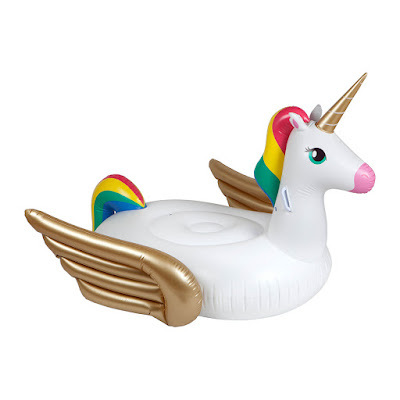 Made from PVC, this whimsical unicorn inflatable has recessed seating for comfortable lounging and is finished with handles for stability. 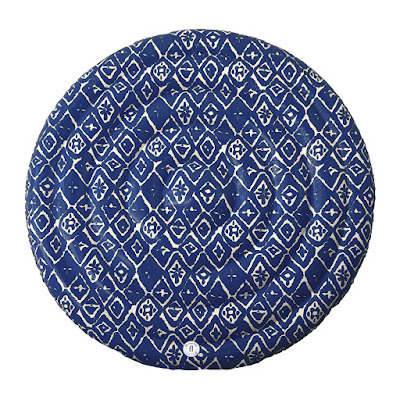 With a repair patch included, it is the ultimate accessory for you summer getaway. 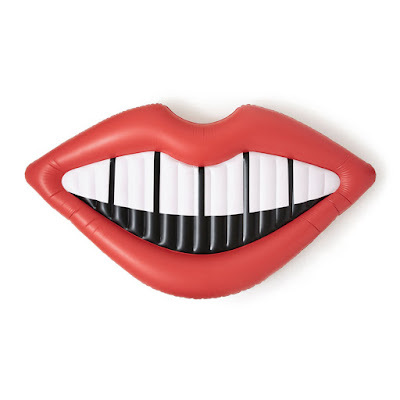 Make a statement at the pool with this Float On inflatable from ban.do. Crafted from heavyweight vinyl, this inflatable features a fun smile design. Finished with a raised frame and sectioned grooves, this oversized inflatable is large enough for two people making it an essential accessory for your next summer holiday. 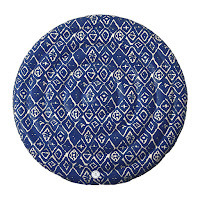 Lounge by the pool in style with this Round Inflatable Mattress from The Nice Fleet. Made from PVC, this inflatable mattress has been adorned with a bold pattern inspired by tropical destinations and is perfect for taking some time out by the water a must-have essential for any summer holiday. Accessorise your summer holiday with this Luxe Flamingo inflatable from Sunnylife. This playful poolside companion is perfect for enjoying a dip in the pool with friends and family. 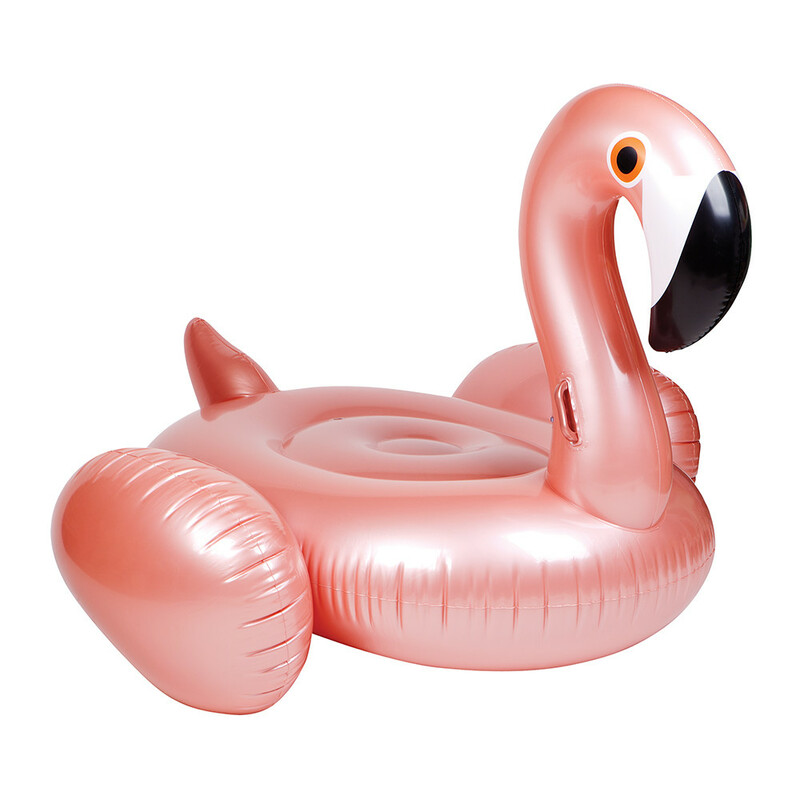 Taking the shape of the much loved flamingo, the large design is ideal for riding, floating or lounging and adds a decorative touch to a swimming pool. 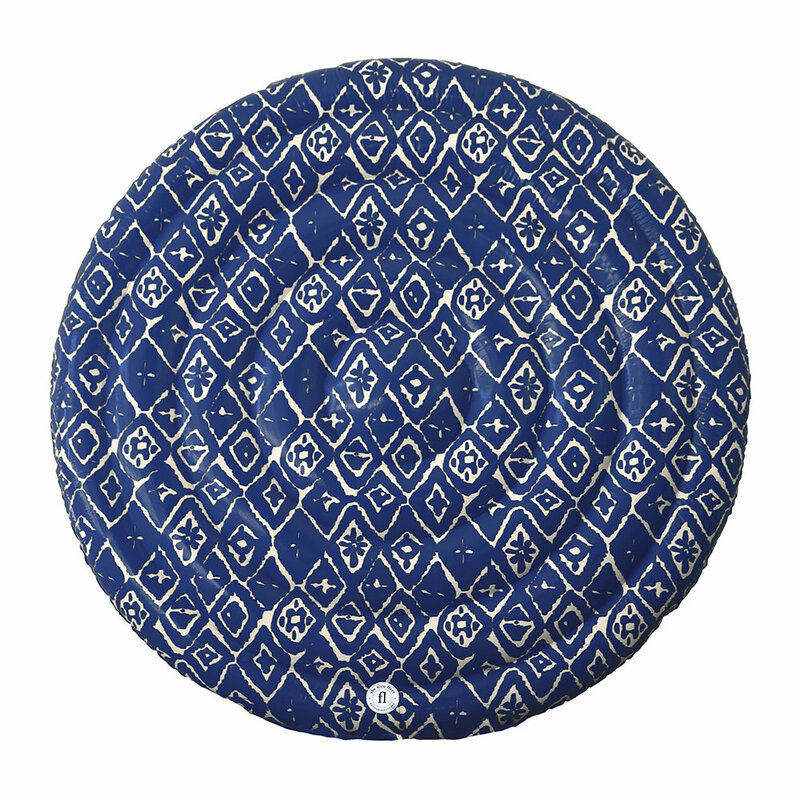 Simple to deflate and with a repair patch included, this is a must have accessory this summer. 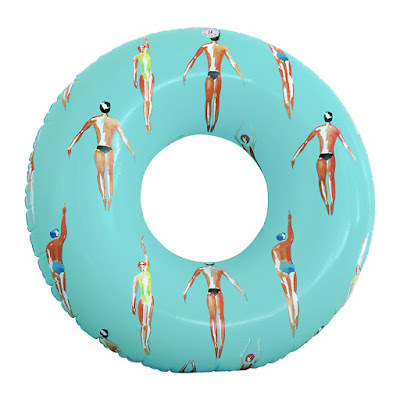 Spend a day by the pool with this Extra Large Inflatable Ring from The Nice Fleet. 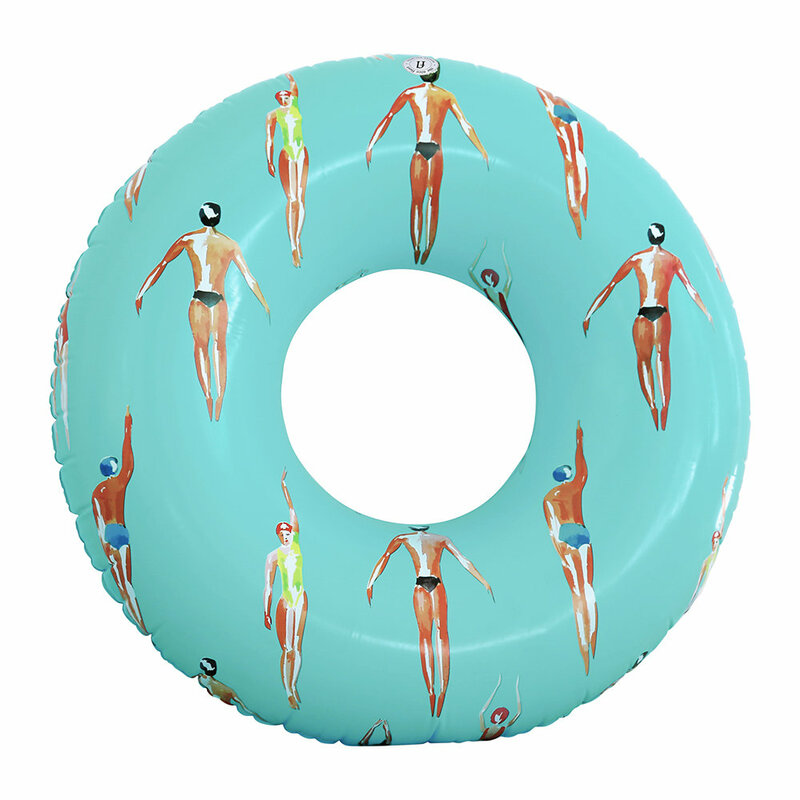 Made from PVC, this inflatable ring has been adorned with adorned with a bold pattern inspired by tropical destinations and is perfect for taking some time out by the water. 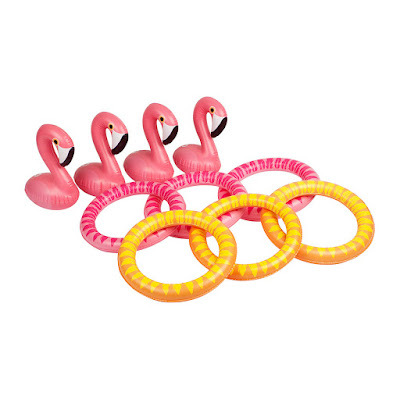 Liven up your summer break with this Inflatable Floating Flamingo game from Sunnylife. A unique take on the classic ring toss game, it is designed to be played in two teams and can be played in the water or on the ground. Including a repair patch in case of punctures, it is suitable for ages 3 and above. 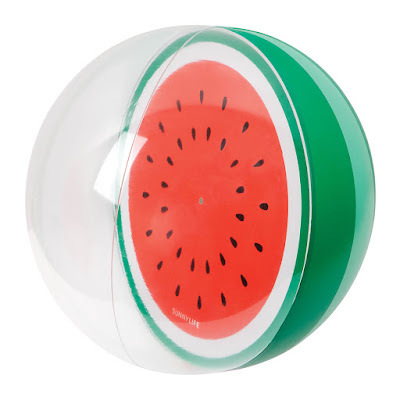 Have the ultimate fun day out with this extra-large Watermelon Beach Ball. Made from PVC, the oversized ball is perfect for playing at the beach or in a swimming pool. Adorned with a half transparent watermelon design, the ball comes with a repair patch in case of emergencies. A great gift idea on any occasion, or travel accessory for holiday adventures.